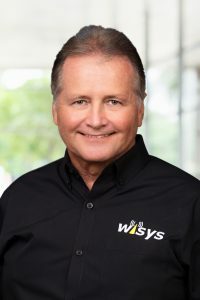 Bruce Hollinger is Executive Chairman and Co-Founder of WiSys. Bruce and Michael Hollinger started WiSys in 2004 and together developed the concept of real-time ERP solutions for Macola Software, beginning with Warehouse Management. Bruce founded Macola Software in 1982 as a provider of PC business solutions at the onset of the introduction of the IBM PC. During the 22 years Bruce was with Macola, the company developed a reseller channel of business partners of over 800 global companies that became the primary distribution and consulting channel for an installed customer base of over 16,000 global companies. He also was a key part of the development team for over 8 generations of product releases and directly managed the development team for the Macola ES product line. The Macola Progression product line won four unprecedented PC Magazine/Price Waterhouse Editors’ Choice awards. After Macola was acquired by Exact Software, Bruce joined Inspired Solutions where he was able to work directly with Macola Customers and developed an understanding of the type of missing solutions that WiSys provides today. As one of the Sr. Managing Partners at Inspired Solutions the company grew from a customer base of 60 to over 260 and became virtually the sole Business Partner for Exact Software in the Southeast. In 2005 Inspired Solutions was recognized by Accounting Technology magazine as one of only eleven firms nationwide as a 2005 Killer VAR. In 2005 Inspired Solutions was acquired by Exact Software North America. Bruce graduated from Ohio Northern University with a BS in Engineering and is now part of the Engineering Advisory Board. He also holds an MS in Engineering from the University of Pittsburgh and is the recipient of the Central Ohio Ernst & Young LLP Entrepreneur of the Year Award for Business Leadership in America.